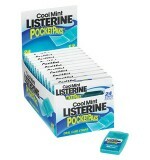 Cold Packs Pack Of 3 ..
Listerine Pocket Pack, Fresh Citrus, Fresh Burst, or Coolmint. 12 per case ..
Poly Gloves Clear General Purpose One Size Fits All 10,000/Cs ..
Sanitizer Gel 18 oz Gel Pump CT .. 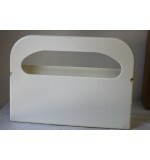 Toilet Seat Cover 250/Box 20Bx/CS 5000/CS ..